New to Pinterest Communities? In this blog post, I’ll be sharing how to join, use, and market your creative small business using Pinterest Communities as a service or product based small business. Back at the In the Making Conference, hosted by Pinterest, they introduced the idea of the new Pinterest Communities feature. I was intrigued, took notes, but left with a lot of questions. It was definitely going to be a ‘wait and see’ period before we knew exactly what they were creating. After getting a look inside the program and comparing my notes, it definitely seems like Pinterest wants to be more like a social media platform. 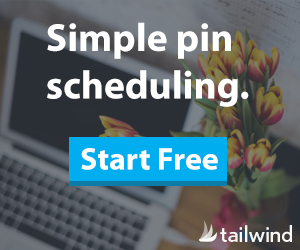 But, underneath the commenting, pin sharing, and ‘Reddit’ style organization, I see it as a place for Pinterest to be ultimately useful and actionable, which is very true to their mission as an organization! Looking for the best biscuit recipe? Ask the fans of the “Flour Lovers” community. Does this primer really work on kitchen cabinets? Get rave reviews in the “DIY’ community. You see, Pinterest wants to be the place where users are inspired and take action on that inspiration! Pinterest communities are another place to serve the user and ultimately, their user experience. So, how should you be using Pinterest as a small business? A good rule to consider is 10:1 – 10 “organic” interactions (i.e a comment, a post with a question or discussion starter, a photo post, a post from another domain) to 1 “self promotional” post – i.e a post linking to your blog. Be a good community member. It goes without saying that being a good community member also leads to an active and healthy community. Pinterest Communities are searchable— by creating a new community first, you have the chance to reserve that title and name. Are you a service-based business? Consider creating a community where your ideal client can get inspiration. Are you a product based business? Create a Pinterest community that shares how you might you use your or similar product. For e.g., if you sell nail polish, maybe start a nail art community. Pinterest communities are a great place to hear and learn what your ideal audience is talking about and looking for a solution for. Maybe, per tip 1, you can jump in a few times and share a pin that might be helpful for them if it solves a problem they have. See that sweet heart icon at the top center? You can add your pins directly to a community! Use this feature if someone is asking for a specific resource. You have the opportunity to develop know, like, trust in a helpful, non spammy way. Don’t just drop-off a pin! Stay, engage, like and comment within the communities. Be a good active community member! I am excited about how this new feature plays out and the potential it has to keep people on the Pinterest platform— which from my perspective, is always a good thing!